Gordon, as CEO and Founder of Organization Performance Specialists, has spent over 30 years in the corporate world in various industries and in global leadership roles. His proven track record in growing businesses, generating double digit profit improvements, reducing cash cycles in half, and making significant ROI impact in small to large businesses has stemmed from his know-how of creating solutions for sustainable change within an organization. Yet, he understands that behind every opportunity there presents itself an opportunity to increase the effectiveness of an organization by implementing systemic improvements, using a model that has worked time and time again, called the Meta-Dia Pyramid Principle ™. This model has worked successfully for Mr. Woodfall for turnarounds, acquisitions, start-ups, new product & fast growing, and global businesses. As President of Snowden Associates, Gordon was able to introduce himself to the Southern NH and Northern MA regions as a very proficient specialist in career transition, leadership development coach, and the entire organization & cultural transformation process. As a consultant, he was able to leverage his business acumen and experience as well as his expertise in team building and problem solving, coaching and mentoring, and organizational development. Specifically, Gordon’s roles have included executive leadership positions in high-tech, scientific, and automotive industries, both large and small, where his results-driven “know how” encompassed a wide range of business processes including global business and product marketing strategy, new product introduction, quality and continuous improvement, and operational excellence. Gordon has been recognized for his leadership in organizational transformation and effectiveness by receiving awards such as: Shingo Prize – 2005, Ford Q1 Award, Textron’s Best Manufacturing and Quality Systems Award, Daimler-Chrysler Pentastar Award, and Toyota Production System (TPS) site certification. Gordon holds an MBA from Bryant College, Smithfield, RI and a BS, Engineering from Worcester Polytechnic Institute, Worcester, MA. He has completed an Executive Development Program at Harvard University as well as corporate sponsored Dr.Juran quality improvement training, team problem solving and Kaizen training. 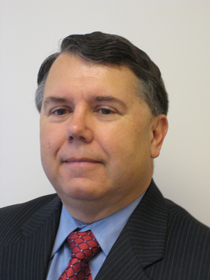 Gordon participates on the WPI School of Management Advisory Board, is a past chairman of Texas Instruments Corporate Technology Seminar, and is owner and co-founder of SENG-NE (Senior Executive Networking Group – New England). He is a member of various forums including SHRM and regional HRA Chapters. Throughout his career, Gordon has actively assisted professionals in transition as a mentor and coach as he is a strong believer that life’s journey is one of building lasting relationships. Gordon has been married to his wife, Joanne, for 35 years, and has two sons and one daughter, all residing in the New England area. As part of our Talent Acquisition Team, Leslie Gabriel brings over twenty years of recruitment experience, including retained search and contingency. She has an outstanding reputation with her client base. Although her field of expertise has been in the areas of operations, quality, materials on both a regional, national, and global level, Leslie has demonstrated success in talent acquisition in a wide area of industries and disciplines. Leslie Gabriele earned her MBA at Boston College. Her recruiting career ranges from start-ups to Fortune 50's, from individual contributors to presidents. In 1993 she founded Gabriele & Company a recruitment firm for Manufacturing and Materials professionals. At McInturff & Associates, she established the manufacturing practice. At Fenwick Partners / Korn Ferry, she completed retained search engagements for top level executives. Leslie is a past Chair of the Boston chapter of the SME. She was a board member of the ASQC, a steering committee member for the Manufacturing Roundtable and the founder of the VP of Operations Group. Mike is a consultant/trainer specializing in strategic planning, leadership development, organizational behavior, change management. and career transition/outplacement. His consulting services and customized programs target key people within organizations such as: executive management, board of directors and all levels of staff to increase productivity, build skills and help organizations manage change and improve quality. Mike has developed and presented a wide variety of programs including: Managing Change; Development, Stress, Time and Meeting Management; Team Building; Problem Solving; Strategic Planning; Facilitator Training; Coaching and Motivation; and Sales Performance. As a consultant and trainer, Mike has worked with over 100 clients representing a diverse array of for-profit and non-profit organizations on a local, regional and national level. Mike has earned a Bachelors Degree in Psychology, Masters of Science Degree in Counseling Psychology and has completed graduate work in Organizational Behavior and Administration. He has numerous certifications including Myers-Briggs Type Indicator, Yale University Training of Trainers, Xerox Selling Skills, and Kepnor-Tregoe Decision Making Process. Mike has published several articles in the area of management and has chaired a number of statewide conferences in the areas of volunteerism, fund raising, health care, and leadership development. He is on the Board of several organizations including American Cancer Society, S.T.O.P. and the Vermont Children’s Trust Foundation. In addition, Mike currently serves as adjunct faculty for New England College, Graduate School, where he teaches courses in organizational behavior.